The European Union’s adoption of General Data Protection Regulation (GDPR), that has come into effect from May 2018, directly impacts all companies based in, or doing business with companies/individuals based in the European Economic Area (EEA). This has put pressure on organizations to comply with its stipulated requirements for data (both steady state and in-transit). As enterprises invest in their compliance, security, and risk initiatives, they are relying on the support of service providers to not only discover sensitive and personal data, but also enable their GDPR compliance. 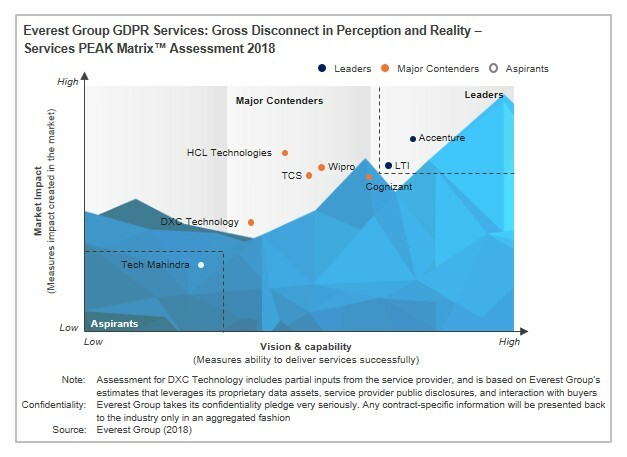 Service providers, as a result, are investing in developing capabilities to enable this GDPR journey for their clients. These investments include development of proprietary solutions to discover data, expansion of their partner ecosystems, and nurturing of their workforce to be GDPR-ready.